Any M3F member near Ft Lauderdale? My buddy wants to check out a E46 M3 that's for sale in Ft. Lauderdale. It's a ZCP, IB/DG. Unfortunately he lives in CA so wants to know if any of the forum member that's capable of doing a PPI and lives near can do it. Or if anyone has any recommendations nearby. I was gonna post in the Southeast section, but I realized that side of the forum is extremely dead so I hope posting here is okay. Re: Any M3F member near Ft Lauderdale? If anything, anyone know a reputable shop that can perform a PPI? Talk with a guy named Renni. He know BMWs. - 2000 BMW 323i (E46) Sport Touring, 330i Front Calipers & Rotors, Bilstein Shocks and Struts, SAP Delete, Sirius Receiver, HID/Projector Headlights. - 1987 BMW 325is (E30) European ECU and Camshaft, M3 Suspension, Headers with Custom Exhaust. Talk to Meister Motoring (shop owner Reza). He’s in Fort Lauderdale and probably knows the car. Most of us Fort Lauderdale guys take our cars to him. Tell him CarbonDan sent you. Was going to suggest Reza as well. I second Rennie at Redline. 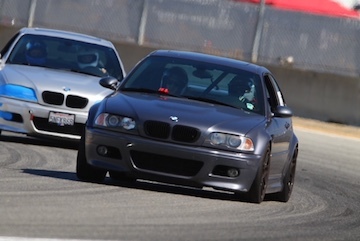 He raced BMWs a while ago, straight shooter and Grassroots Motorsports uses him for all (most?) Of their BMW projects. He will not only do the PPI but let you know if the selling price is a good deal. All times are GMT. The time now is 11:55:00 PM.